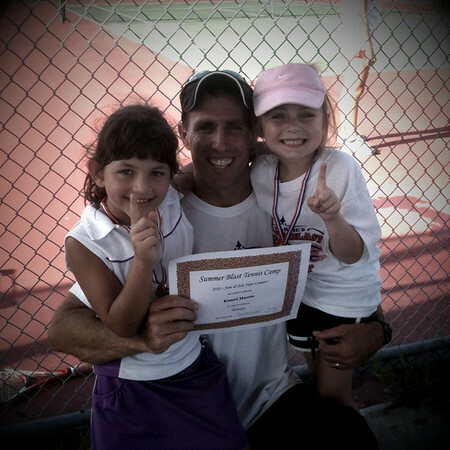 Annelise wrapped up her second (and final) tennis camp this morning. When her first session started a few weeks ago her excitement was at an all time high. The first morning she came downstairs at 6:05 already in her tennis outfit ready to play and nudged me awake to see when we'd be leaving. My little Steffi Graff was rather disgruntled when I sent her back up to bed for 45 more minutes. It was a little harder to get up for the second session of tennis camp (for both of us), but we managed. She didn't seem to mind at all that we were a wee bit late each morning and she missed out on running laps around the courts. She had fun with all the drills, skills and games this time too and we're both happy to report that her tennis game has improved ever so slightly. At least among the 6 3/4 year old crowd. Apparently I could not be bothered to lug my camera to the courts each day (although I did somehow manage to bring my book every time), so I only snapped a couple of pics with my phone. Nope she's not picking her nose, she's saying she's number one while posing with Coach Pat and his sweet daughter Kamri. 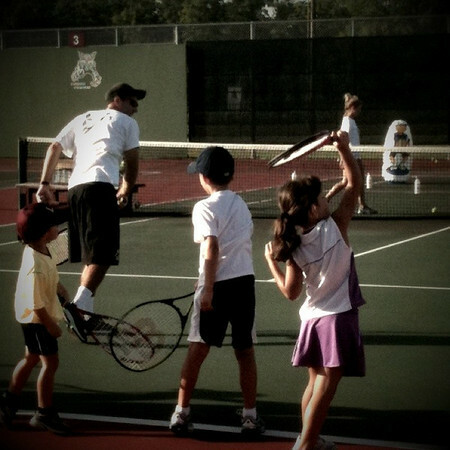 Thanks Coach for another awesome tennis camp!! Even though summer classes like these are fun, it's also soooo nice not to have a schedule. Whitney's oil painting class was 11-12:30 on Wednesdays for 6 weeks, but it felt like I was running all over the place. I was glad when it ended last week.